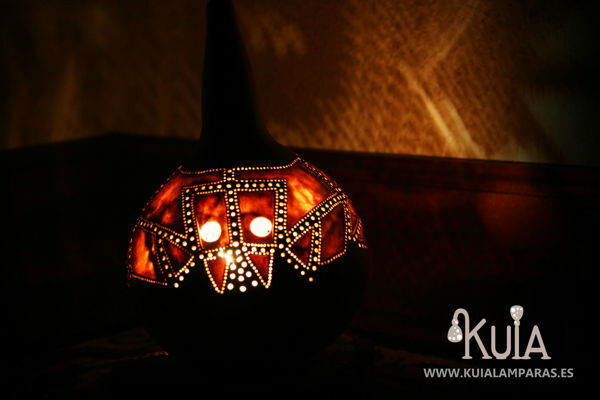 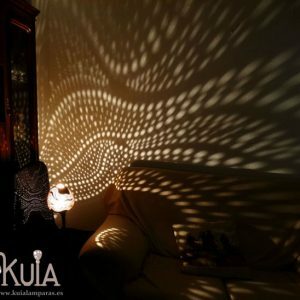 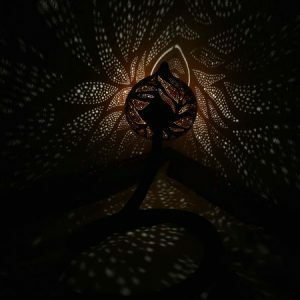 Etnic lamp.Gourd lamp inspired by Egyptian art. 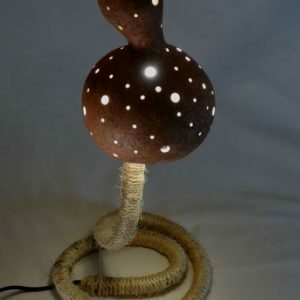 In this work both front and rear sides look like totally different lamps. 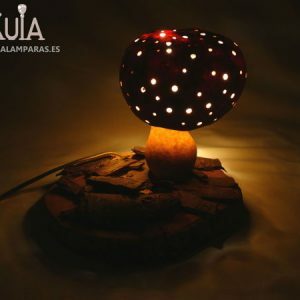 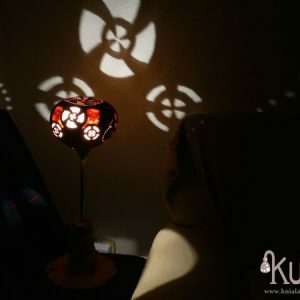 The red colour and the black flower create the perfect lamp to decorate any place, even when the light is off. 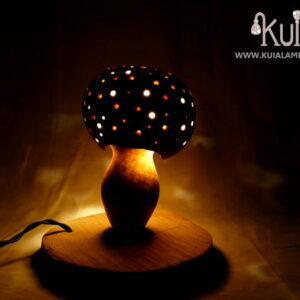 The wooden base can be easily removed to replace the light bulb.